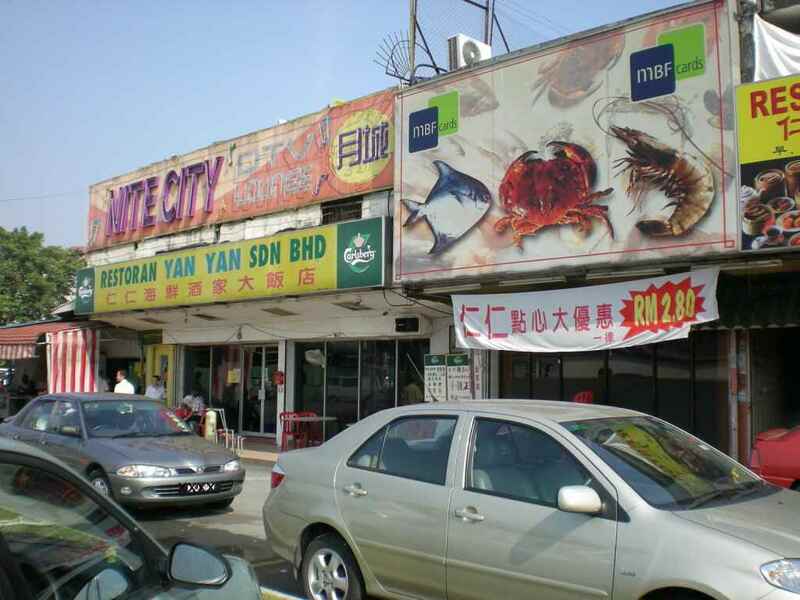 I have been to Yan Yan once- a few years back, for seafood dinner, I can’t recall what the food was like but remembered that we ordered crabs. I have seen the banners promoting the RM2.80 specials for a few weeks but hadn’t thought about it again until seeing the flyer, well, about time we pay Yan Yan a visit ! 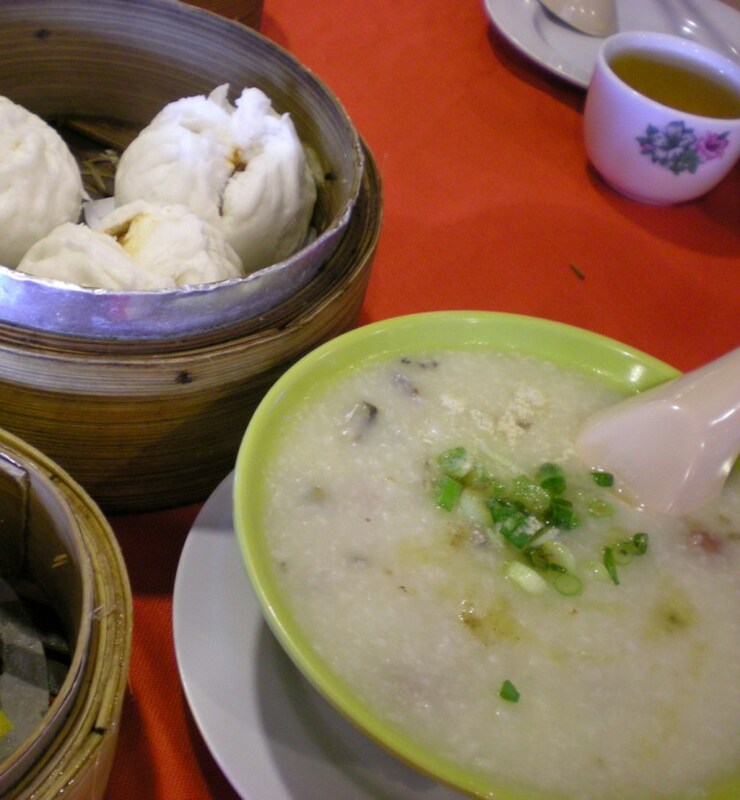 Stepped into the air-conditioned Yan Yan at about 9:30 a.m on a Sunday , there was only one other table occupied. 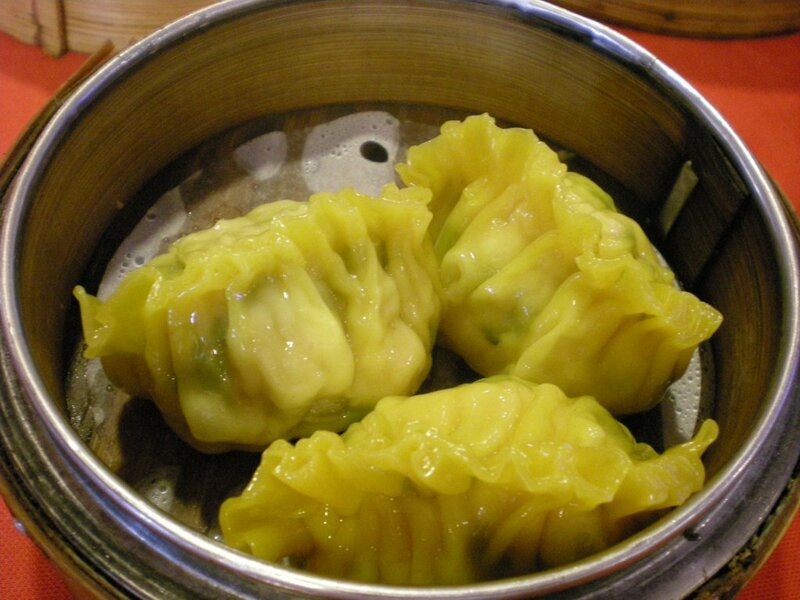 We were shown the pictorial menu of the available dimsum and each was at a different price, I was a bit puzzled so had to confirm with the waitress that the special promotion of RM2.80 is still valid. The answer was yes. We ordered tea and study the menu. 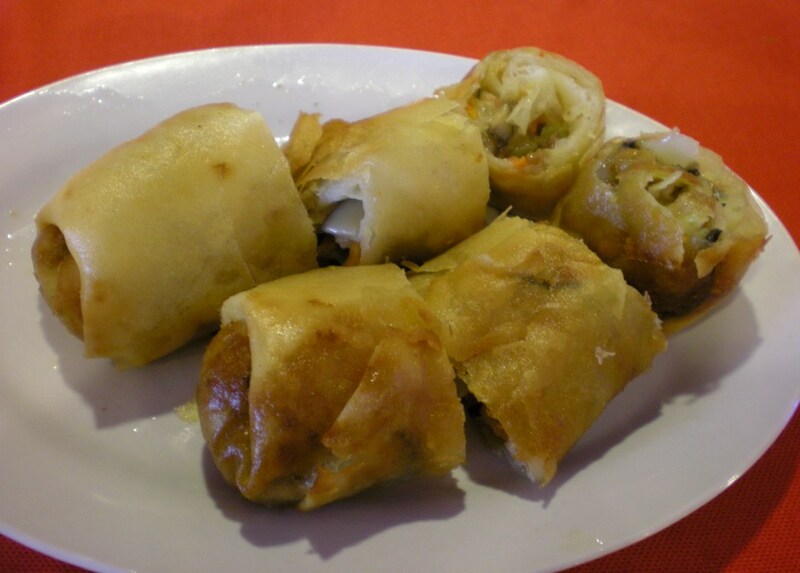 Spring roll 春卷 : I must say that they don’t skint on the fillings, which include sengkuang, black fungus, mushroom, dried prawns . Very tasty , very promising start ! 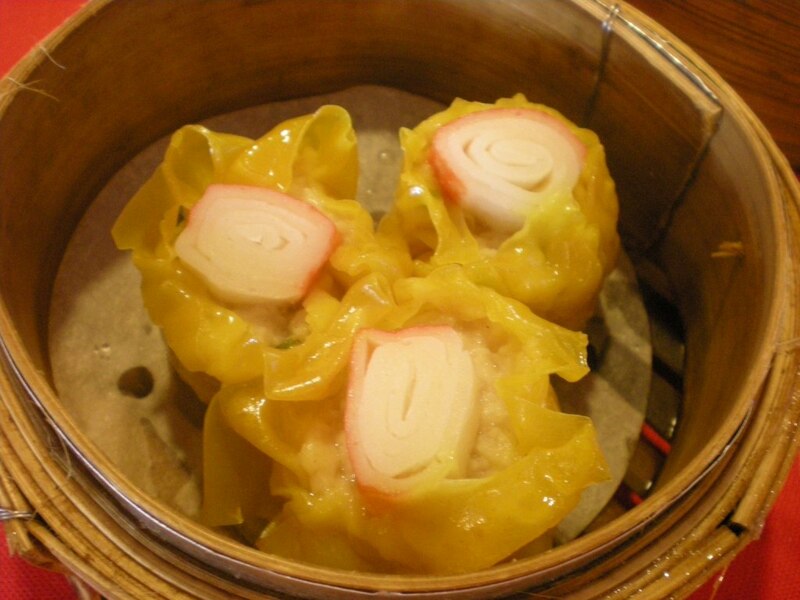 Special siu mai – the Chinese name was a bit more descriptive, with the play on words to indicate that there is yim-sai in the siu mai , this is yummy..
By now, we realized that the dimsum were rather salty…. 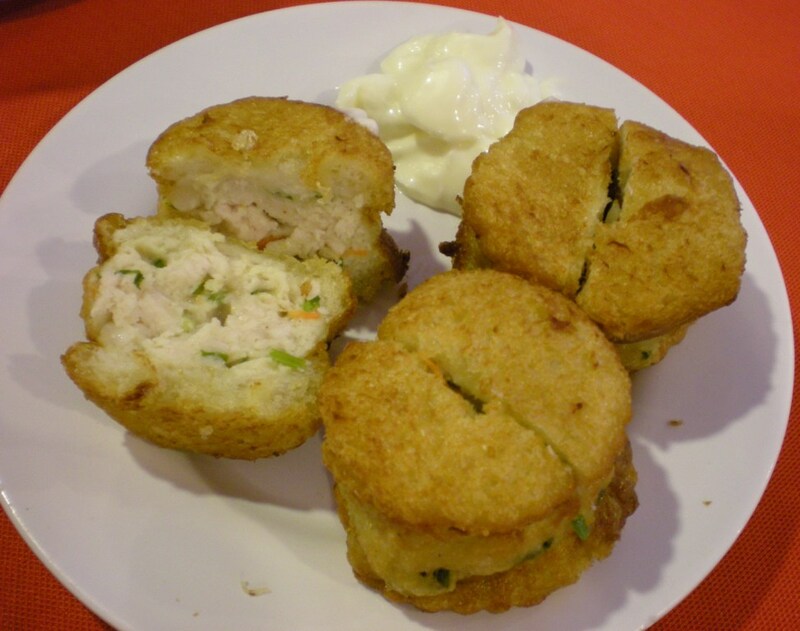 Salad bread ball- sorta like a mini bread burger with mayo on the side, interesting, I enjoyed this – well worth a try. You should be able to see the restaurant from the roadside. Kuti – monks hut/ quarters for monks that reside in a temple compound – almost like a studio with attached bathroom huh ? Misai Kuching – one of the many herbs at Alokarama Herbs Garden. The plant is used for treating ailments of the kidney, bladder stone, urinary tract infection, liver and bladder problems, diabetes, rheumatism , gout, to reduce cholesterol and blood pressure. Misai Kuching has a mild diuretic action, useful for flushing the kidneys and urinary tract. As soon as we took a seat, a man came around to take our order for drinks . 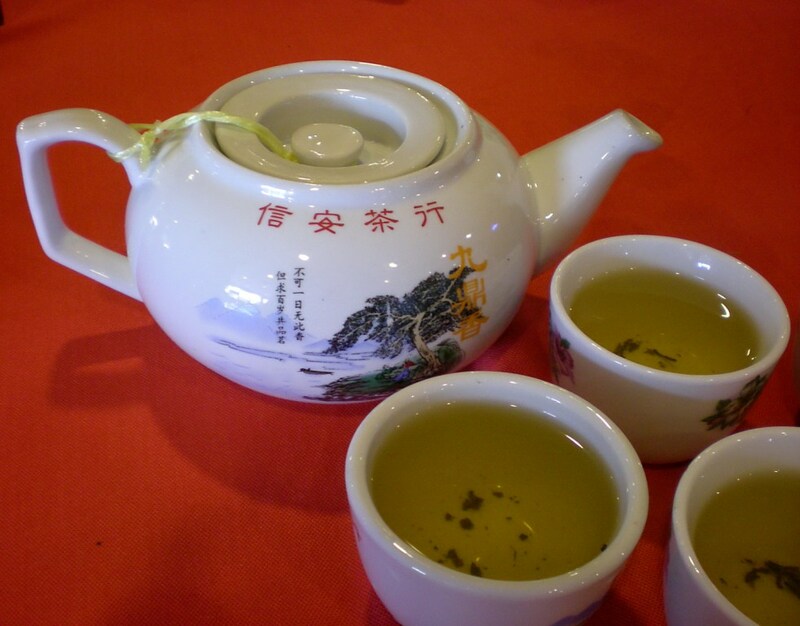 For drinks, they have fresh juices, Chinese tea or cooling tea/ leong char . I opted for lime juice+sour plum and Chunny asked for Chinese tea. Come to think of it , I am getting really predictable in the drinks department, it has been a few repeats of lime+sour plums or ice kacangs- I must be more original lah, ok, will get a Guiness for next meal ! After ordering our drinks, an auntie came and ask us what we would like for food. 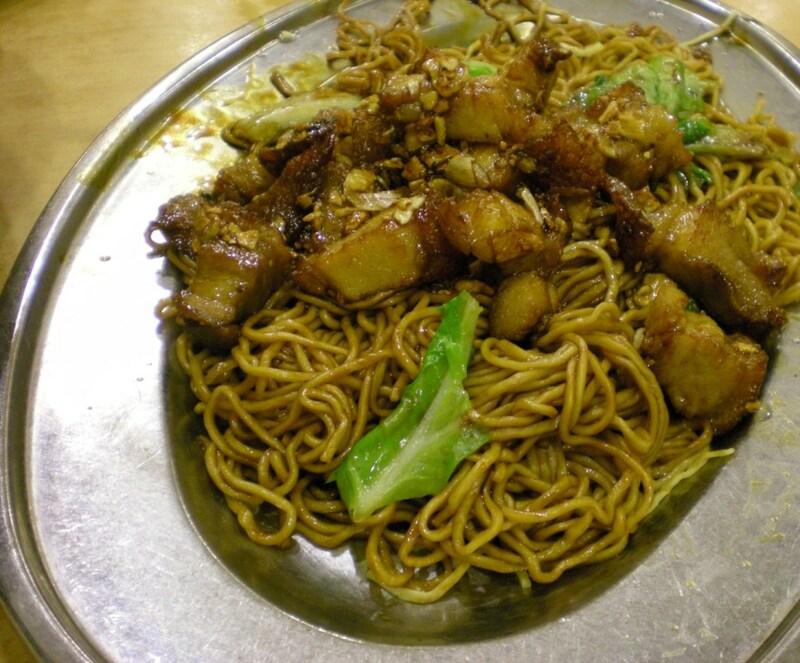 This is my first trip to Seng Kee, this eatery is famous for it’s claypot lou-shue-fern ( rat-tail noodles), so we must order that lah, also ordered the BBQ pork noodles and 6 pieces of yong tau foo. Indian uncle selling lottery came about, no takers. I don’t think I have ever come close to getting the last 2 digit right, – so I sorta given up on this ‘investment’. 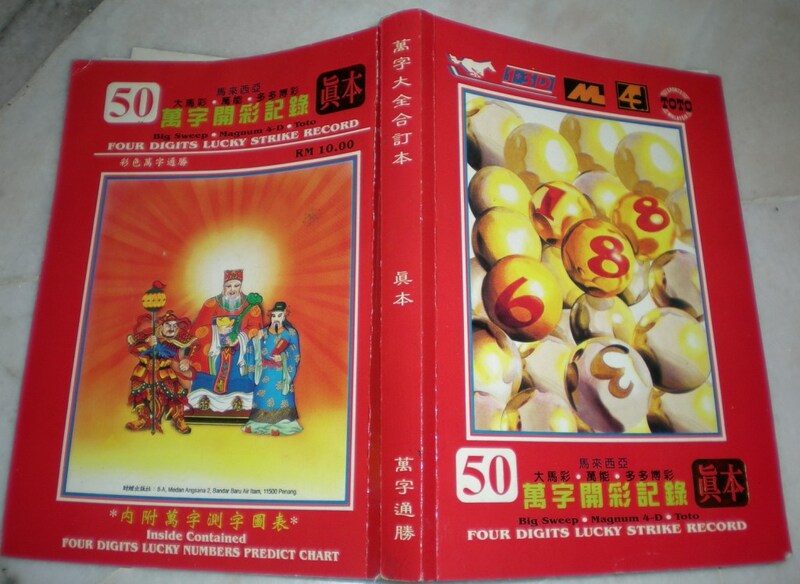 Although a few years back, I did ask my colleague to get me a copy of the ‘book of lucky numbers’ to see if I can make some money from my myriad of dreams every night. Those of you that do not have a clue on what I am talking about, this little book has (almost) a number for everything, e.g. 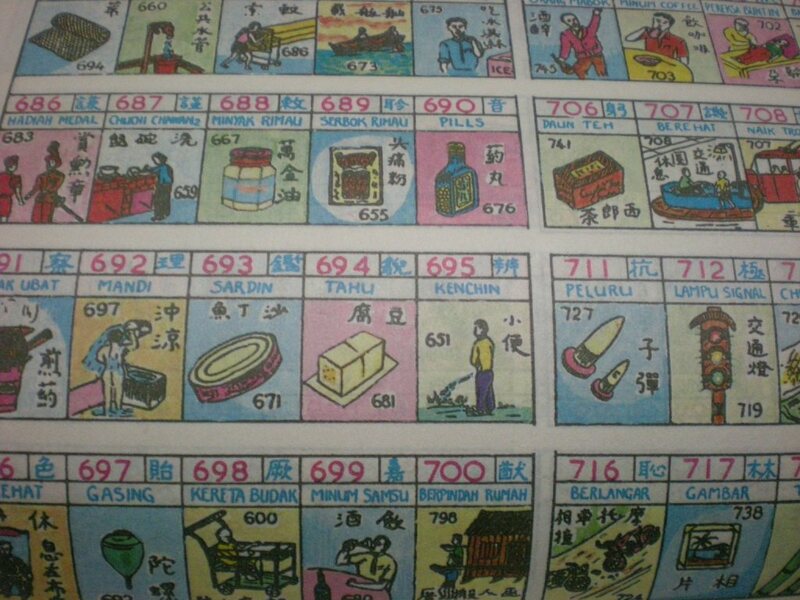 putting on lipstick – is 747, pisang goreng seller – 605, linoleum – 922 . Linoleum also got one lah…so hor-liau lahhh !! The claypot noodles turns out to be a bit overated, it’s pretty ok but maybe not as great as what I expect from the reviews that I read. 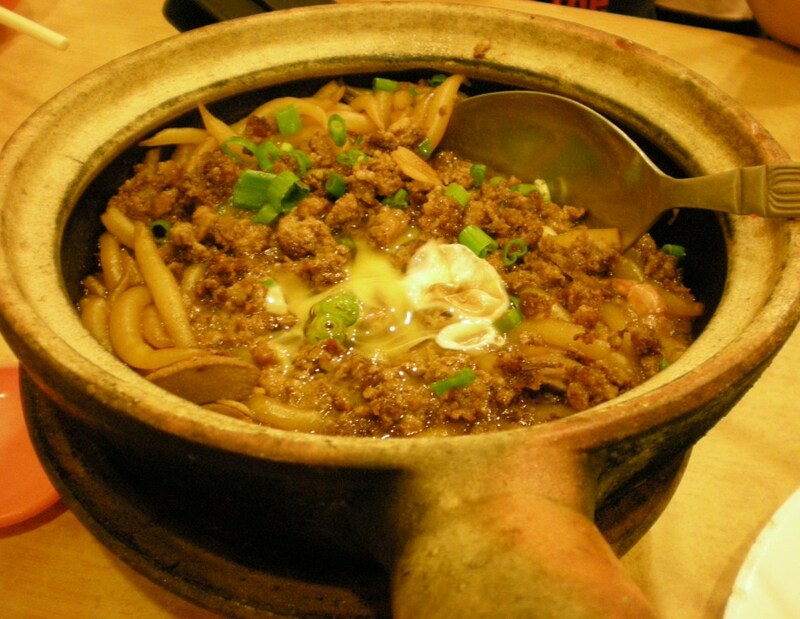 The cooking style is ‘wet’ and one thing for sure, there’s a lot of stuff in the claypot, you get a lot of mince pot, prawns ( also an raw egg on top) and the serving is not small, for small eaters, I think 1 serving would be suffice for 2 persons. 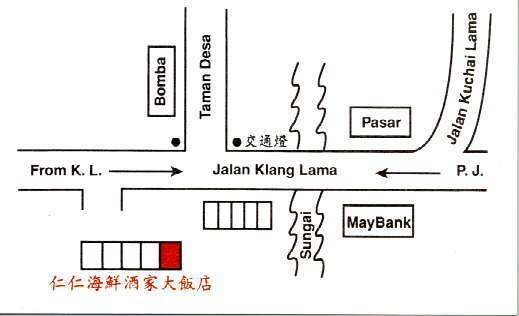 (RM8 / 1 serving). The BBQ pork noodle (RM9) was a bit of a letdown, the noodles was too dry and has a spongy texture, the BBQ pork was pretty good though, the fat layer and the lean layer blended nicely with a bit of chew. We put down a note to just order the BBQ next time sans noodles lah. 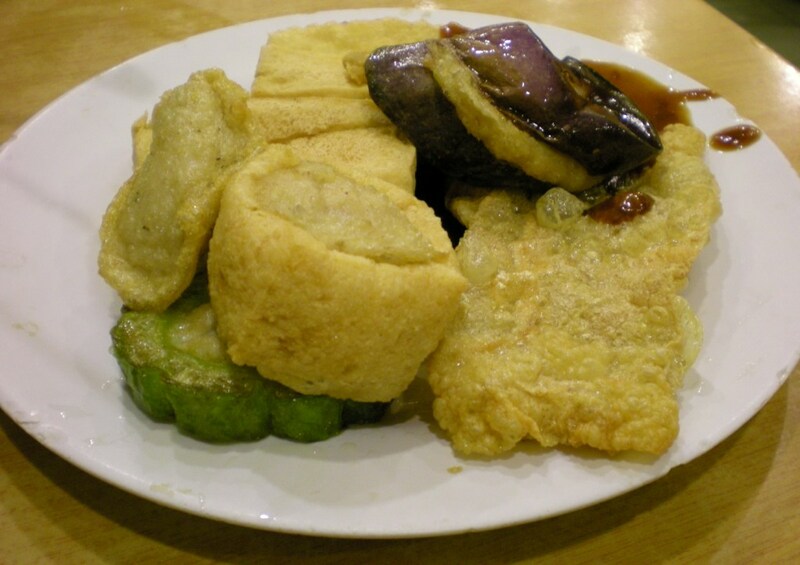 The nicest surprise was the Yong Tau Foo (RM0.90/ piece) ..this is the best dish out of the three, the fish paste is good, we ‘dissected’ the fried tofu but couldn’t find any fish paste in it, wonder was it intentional -anyway, the tofu taste great -crispy on the outside and soft and tofu-ey on the inside, so I didn’t mind missing the fish paste too much. When walking out of Seng Kee, did a quick scan of the tables as we walk passed ( tables were set up on the kaki-lima as well) and nearly all of them have ordered claypot noodles.